A killer taunts the police in London after murdering three women at 1 am on consecutive Sundays. Dubbed The Advent Killer by the media can acting DCI Antonia Hawkins stop the death toll mounting before tarnishing her promising career? There are reasons why I tend to be less enthusiastic than I used to be about crime thrillers. Unless it’s really something out of the ordinary these serial killer crime fiction books become much of muchness. In this case I had successfully guessed who the killer was quite early on and found the journey to his detention meandering and laboured rather than gripping and suspenseful. Even DCI Hawkins political power play with her bosses failed to intrigue but I kept reading anyway hoping there would be something that turned the tide for me in the book, which unfortunately didn’t happen. 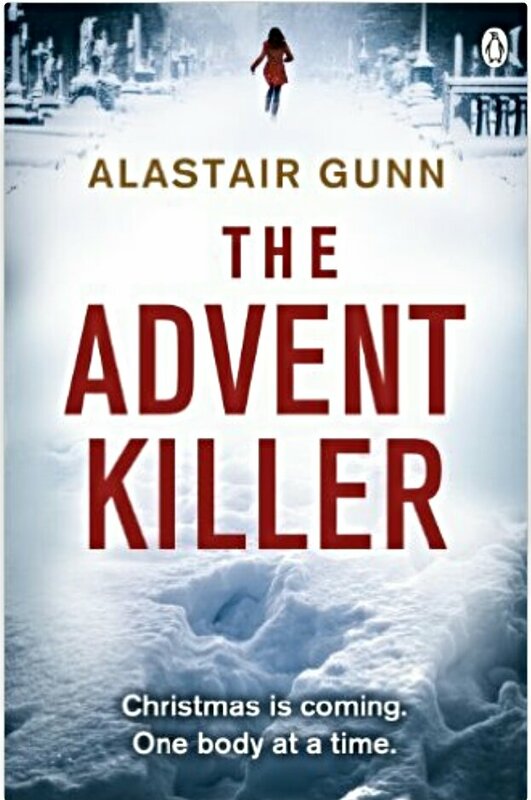 The Advent Killer for me was not a bad read but was not a particularly memorable one in its genre. I like your honesty. I think that is a hard character trait to practice. I would almost rather not review a book than to be honest if I didn’t like it. 🙂 Good for you! Thank you, I think I might be reading myself out of the target audience for a lot of thrillers. Personally I don’t hold it against anyone if they didn’t like a book I loved and I do actually read bad reviews of those books to gain perspective. I have very little in common with someone who would unfollow/unfriend if they don’t like my review as I enjoy seeking out different perspectives. Thank you, I have no idea about my reputation, but the blog is a labour of love and I have shied away from posting reviews of books I have not enjoyed, but maybe I should post these more often. I feel if criticism is constructive and given alongside honest praise most authors are humble enough to accept it. The really successful ones probably won’t care what I think, but if I can encourage one individual with self-doubt to keep going, then this blog would have been worth the time I spend on it. Honest reviews are great! Saves all of us some grief! Thanks!